The audio market seems to be more and more interested in headphones. The funny thing is that while all other components do not seem to improve substantially as for the sound, the headphones branch is having remarkable results. As it often happens, though, not all the brands are able to do something noteworthy. 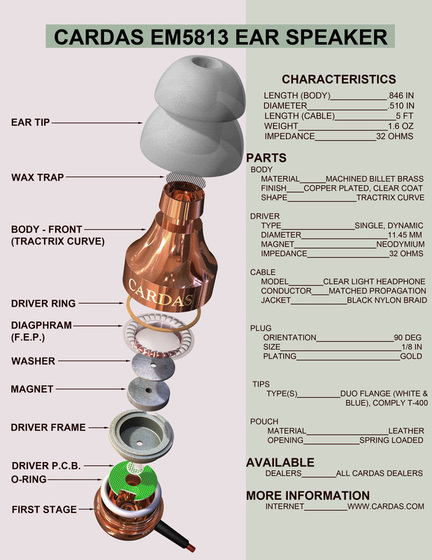 George Cardas - famous in the audio industry because he is a very well known designer and cables manufacturer - has decided to launch on the market an in-ear speaker. 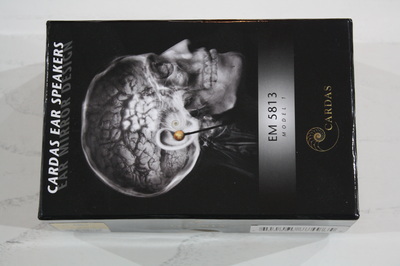 Actually, there are 2 models, and for our review we have the most expensive of the them: the EM 5813 Model 1. We are pleased that the Italian distributor has entrusted us to write the review. To be honest, this is what really happened: the Italian distributor was at home in Catania when he got my phone call. I told him that since I am trying to keep in shape, I take long walks. While walking I love to listen to the music I have uploaded in my smartphone and for this reason I was looking for a good headphone. 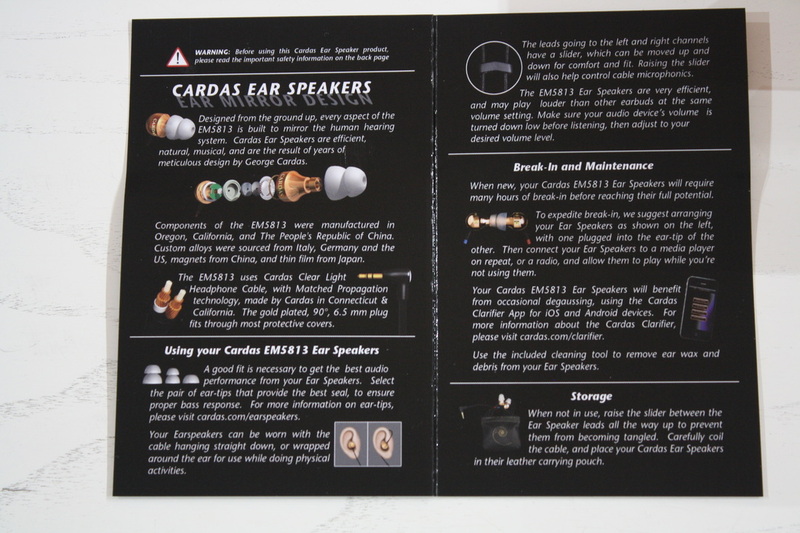 “The one I have is OK”, I told him, “but since you distribute Cardas I would like to test their earphones”. I know the price is not cheap, 400 euros but if we divide it by 8000 steps it is only 5 cents a step. Since these 8000 steps are repeated every other day I thought that it was not so expensive all in all. Well, let's stop mucking around. 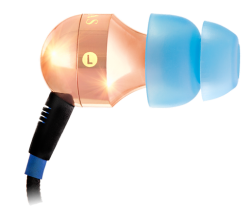 I was really curious to try these in-ear speakers to understand what they sound like and now I tell you my impressions. I have been listening to them for 3 months now and I have everything clear in my mind. Body: Golden Spiral Curved, machined from billet brass, plated with copper & clear coated to prevent oxidation. As you can see in the picture and read in the description these two ear-buds are made of brass and are copper plated. 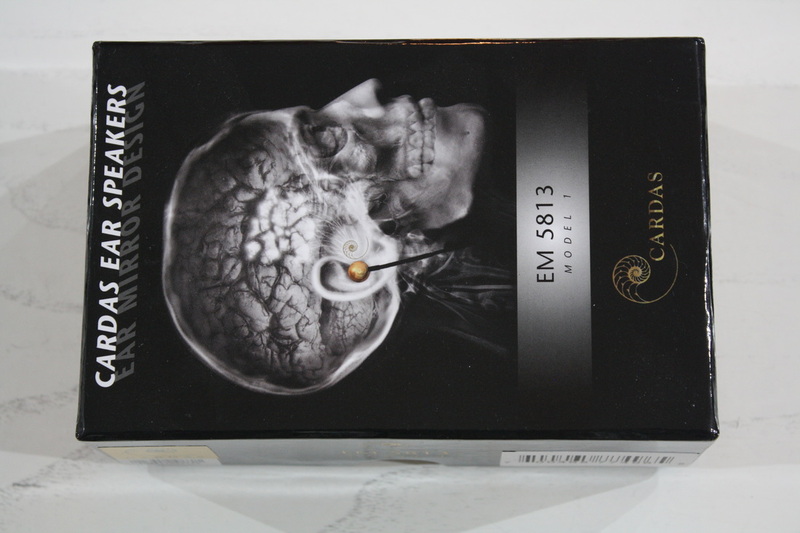 Cardas chose to use a wideband neodimium driver. Here is a picture of a section of the EM5813. The cable is … make a guess … yesss! Cardas itself. It is quite heavy but with the clip they provide it is easy to pin it to your shirt and suddenly its weight disappears. 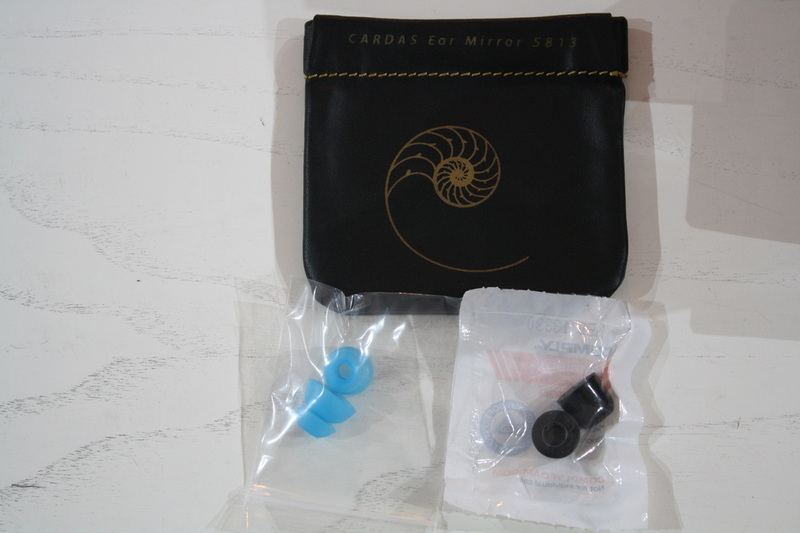 ​In the box you will find two different silicon plugs that can be used to modify the low range response; there is also another foam plug that better isolates from the external noises. The packaging is not luxurious if we consider the price of this object. Hopefully all the money have been spent on R&D because the carrying pouch is like an old leather coin container that does not look nice. But with a little expense you can easily find one that is more suitable and beautiful. OK, time to get real and put these Cardas in our ears. First of all, you have to position very carefully the ear plugs. The way you place them DOES matter! 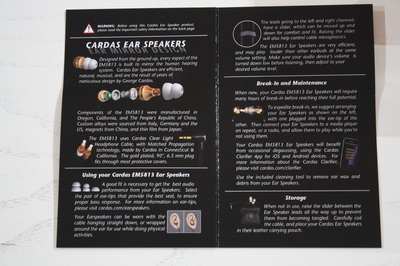 If you put the ear plugs perpendicular to your head as we often do, you will loose most of the low range and also a great part of the sound characteristics of these Cardas. Make sure that the ear plugs are positioned towards the anterior part of your head and you will soon find yourself in paradise. Holy cow, I do not remember listening to any other headphone that is so linear. I was convinced that the in-ear speakers were perfect to go around and listen to music without looking stupid with two big "pans" on your ears. But now, with these Cardas I had the pleasure to listen to Classical music, such as the Symphonies of Beethoven directed by Sir Simon Rattle (EMI Classics). Why? 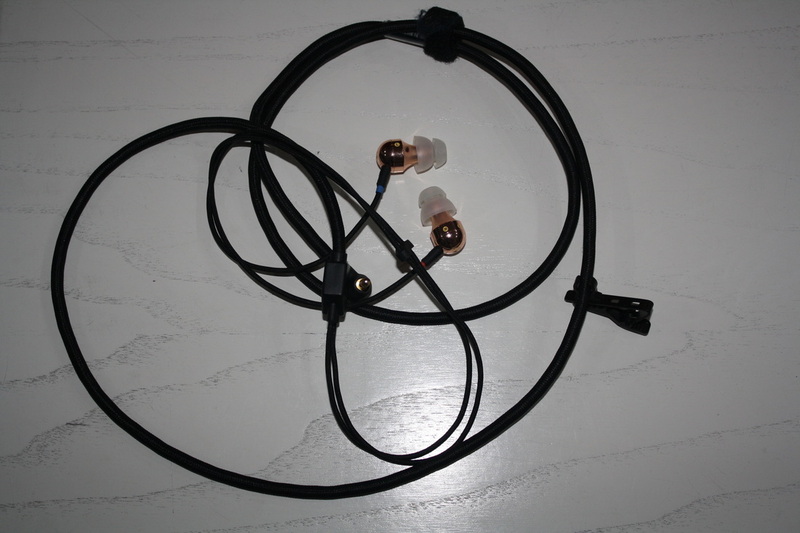 Easy: first of all these earphones are very easy to drive and have no need for any additional amplifier to have a good dynamics and the right energy. A good smartphone is all you need. Secondly, these in-ear speakers have a good timbric precision, therefore it is a pleasure to listen also to music that is complex and articulated. There is precision also in the reproduction of the single instruments, and this has pleasantly surprised me. It is possible to identify and pinpoint the instruments in the orchestra, thanks to a good soundstage. When I walk around I like to listen and move to the rhythm of what I am listening so most of the time I listen to Pop and Rock music. Wow, what can I say? Very, very good. A frequency response that is very extended and a punch up to high quality headphones, there is no listening effort. Let's talk about the price. These Cardas are positioned in a medium-high price range. We all know that with as little as 10 euros we can listen to what our smartphone is playing. But we are not easily pleased people. 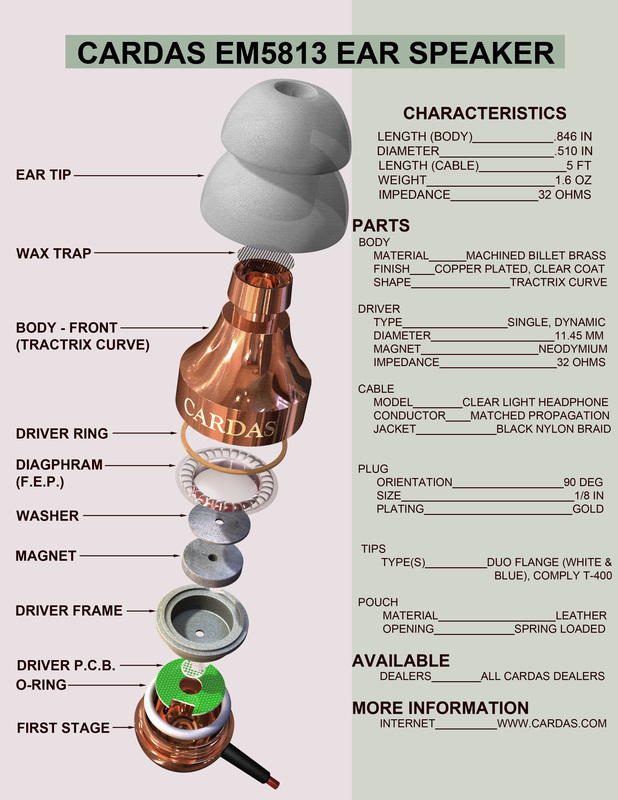 We know that there are also other in-ear speakers that have different characteristics but also a higher price. Almost 500 euros, it is not cheap I know but the performance is high above the average and very close to that of the big over ears headphones. What else can I say … well, they are my new walking mates and I will never do without them from now on. If you want to make yourself a present buy yourself one, it is highly recommended.